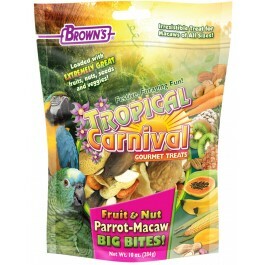 Brown’s® Tropical Carnival® Fruit & Nut Parrot-Macaw Big Bites! 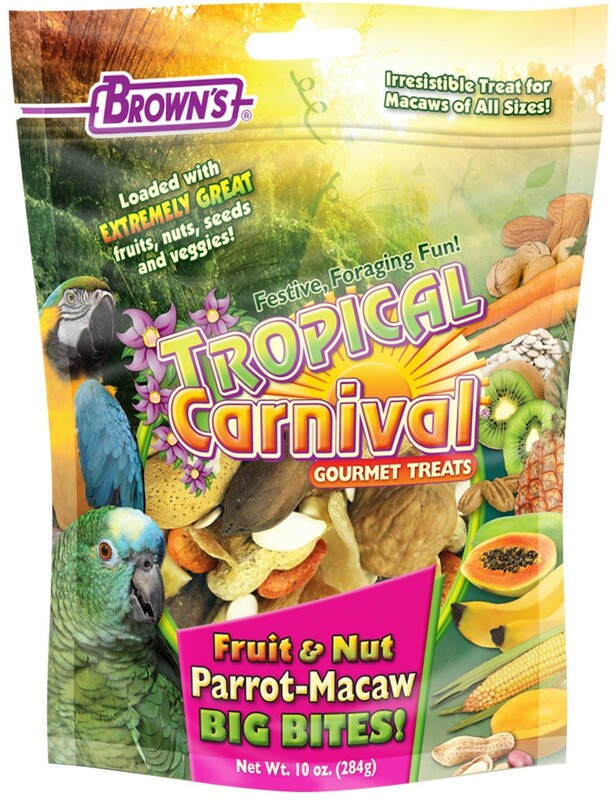 is loaded with extremely great stuff... chunky-chewy-crunchy fruits, big in-shell nuts and chunky veggies that your macaw and large parrots will love. Your pet will find our treats enticing, irresistible, nutritious and fun to eat! What a great way to reward your pet during training or because you love them. 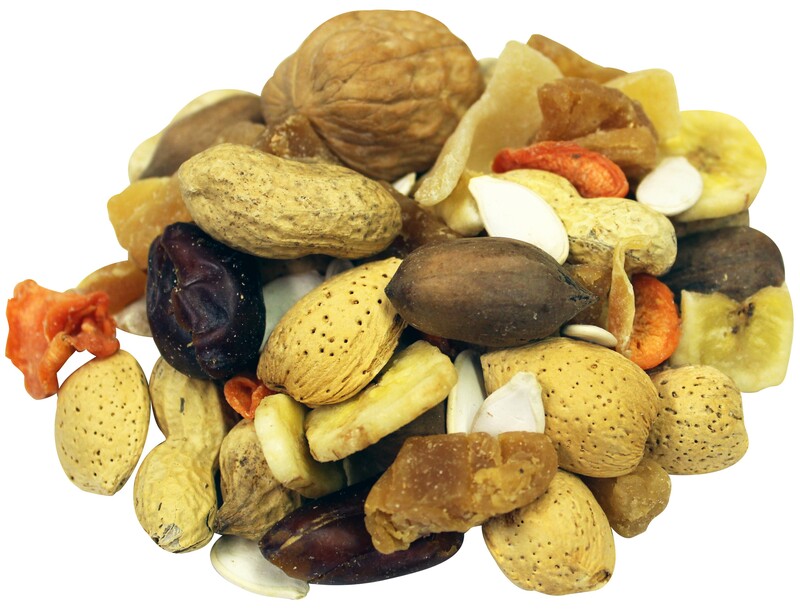 Dried Dates, Dried Papaya, Dried Pineapple, Peanuts, Almonds, Dried Banana, Pumpkin Seeds, Dried Mango, Dried Kiwi, Dried Carrots, Pecans, Walnuts, Sugar and Sulfur Dioxide (a preservative).